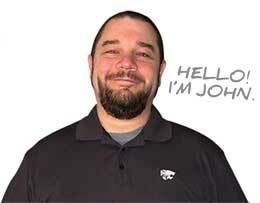 If you’ve noticed on the site lately there have been numerous posts about minimalism. We’ve talked about how frugality and minimalism go hand in hand. 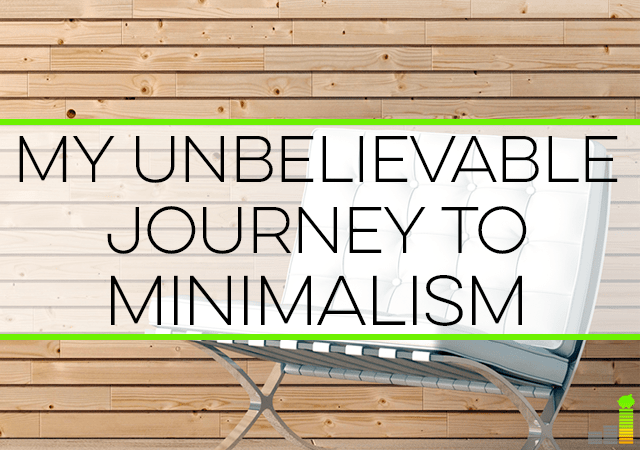 We’ve talked about reasons to become a minimalist and more. I have to admit, at first, I didn’t want to even have them on the site. I sort of viewed minimalism as somewhat odd. I didn’t understand why someone would be so excited about having less stuff. Don’t get me wrong, I do live frugally but have never really seen the point of pursuing minimalism. I’ve always viewed it as we’re disciplined in our spending, we’re meeting or exceeding all of our goals and the like so what’s the point to be a minimalist? I’ve always been somewhat of a pack rat. I saw my father do the same as I was growing up and saw the same in his parents. I suppose a fair bit of that goes back to my grandparents growing up during The Depression. They had very little and that feeling grew into the desire to keep almost everything out of fear they’d be in need again. Mrs. Frugal Rules has always accused me of being a pack rat and I have ardently denied the accusation – until about a year or so ago. We bought new couches for our family room. They were slightly bigger than our previous, well-worn couches so we had to create the space to fit them in the basement. You know what, she was right. We were simply moving our crap around – like the kid who moves his or her peas around their plate at dinnertime because they don’t want to eat them. That was us me. Case in point – I used to subscribe to Consumer Reports. I would keep old issues “in case” we were going to buy something and need to research our options. When we were moving items around I discovered that I had eight years worth of Consumer Reports. Eight years! Talk about craziness. 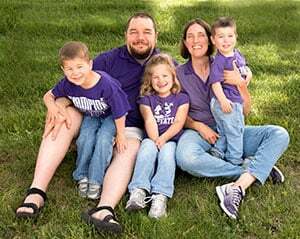 It was then that I began to see that more stuff is overwhelming, though I ignored the voice inside my head and did very little to begin to seriously declutter our house. The simple and emphatic answer was and is “No.” It comes down to this. That would be more shifting of crap, only on a bigger scale. Bigger because I can see the money going out of my hands to someone else to move my stuff. I don’t know about you, but that fits the definition of insanity. We now ask ourselves, as we thin the crap before our move, if we’ve used the item or not in the past year. If not, in most cases, it goes into the donate, sell or pitch piles. Needless to say this has repercussions on the size of house we should buy. Yes, it will be bigger than where we currently live, but it no longer needs to be a palatial estate to hold all of our stuff we don’t need or use in the first place. The second event was my father passing away in December. Amidst all the emotions and dealing with his estate and finances came his house. He was widowed, so single, but like me a master pack rat. It was overwhelming to be bluntly honest. There were many emotional things but there was also a lot of stuff that long past being of significance a decade or three ago. During my flight home one thought that took my mind off the swirl of emotions was that I had to change this pack rat nature and make a change. This is the point I probably laughed at the most when reading about minimalism. You hear that minimalism is freeing and you sort of snicker. That was me. Let me tell you, I was wrong. I think of it this way. If you’ve been to the ocean, the Pacific Ocean in particular, it can be overwhelming. It’s just so much water. The tide comes in and in can knock you down if it’s strong enough. Our kids both love and are fearful of that. However, when the tide rolls out you can stand there, free, and look around to take in the beauty for a moment before the next wave comes rolling in. That’s exactly how I view minimalism now. When you have too much stuff you’re overwhelmed. You have no room to do anything. You’re regularly moving things around just to have space. The list can go on though the point is you are restricting yourself. When you begin to take on a minimalist mindset you’re free of that feeling. You’re less tied to things. You have space and freedom to enjoy the kind of life you want and that’s not tied to a bunch of knickknacks and the like. It puts meat on the bones of mindful spending so you only bring in to your home and life what you truly want – not a bunch of stuff to clutter things up. That is freedom. In short, I’ve become what I once laughed at and thought I’d never become. While odd at first, I’m thankful for the freedom that comes in being a budding minimalist. Oh, and for the record, yes I did toss the near 100 old issues of Consumer Reports in the recycling bin and canceled the subscription a few months later when it ran out. What’s your ‘Consumer Reports?’ What are you clinging to that you should have tossed long ago? How long do you like to hang on to things before letting go of them? Do you think frugality and minimalism are naturally intertwined? I am naturally anti-clutter sooo this is something I really emphasize in my living. Simpler is better! We do pretty well getting rid of stuff we don’t need. I have a garage sale or major purge at least once per year. I don’t accumulate a lot of stuff as an adult, but my kids have all kinds of crap! It can be so easy for kiddos to rack up junk, especially when grandparents buy them a bunch of stuff. I think minimalism is different for everyone. I decluttered my apartment last week and I feel more focused. Completely agreed Jaime – what may be a lot for someone is little to the next person. I think minimalism has a spectrum and while I’m not extreme (I have furniture!) I’ve always hated crap. Just that extra crap that, like you said, you just move around. It’s so freeing to feel like you are much “lighter” in this world! My ‘Consumer Reports` is fabric. I love to sew and create things. But I give away everything cause I don’t need the stuff I produce. And I buy more fabric than I have time to use. Sometimes I’m overwhelmed of all the ideas I have but I have enough stuff. And sometimes I’m afraid, as soon as I’m ready with all – I will be bored to death. Well, at least yours is creative in nature. 😉 That being said I can relate to that feeling which can also cause you to bring in more stuff than you may need. Minimalism is a distant goal of mine. I’ve started my journey to minimalism by not buying new things. The next step will be getting rid of some of the stuff in my closet that I haven’t worn in a while and will probably not wear again. The next step after that will be reducing the clutter in my living area. Sounds like a good plan Aliyyah. We like to purge stuff several times a year to help keep our collection of stuff manageable. I hate clutter (ie I rarely let paper waste like magazines build up), but I have a tough time with minimalism. I try to minimize what comes into my house, but once its here, I don’t really like to go through and decide what is worth keeping vs not. Stuff can be overwhelming, but sometimes its best to pick our battles. I can relate Hannah. We’ve moved to only getting one magazine & it’s usually gone within a month. But, it can be overwhelming to know where to start when you want to begin to thin things out. I’m so glad you were able to toss the Consumer Reports and make some positive changes towards minimalism. It’s an extreme example, but it’s tough to watch the people on TV shows like Hoarders and the deep psychological impact that hoarding has had on them. I would say I’m a bit of a pack rat as well, though it comes in waves. Sometimes I get my mind set on decluttering and can toss things out at ease. Other times things accumulate. When I was younger I would save magazines “just in case.” I had a stack of ESPN magazines that were about 4 feet tall! I eventually tossed them all in one swoop, but clearly I felt a need to keep them for a long period of time. I am as well DC, I felt so ridiculous when I saw that I had that many. I’ve been that way as well in the past. It just becomes so easy to think (read justify) that you might need something and it just builds on itself. Next thing you know it’s out of hand. Good luck on the decluttering. I find that if I don’t devote a block of time to it then it becomes more of a challenge to get it done. I was SO excited to read this post, and I think I was smiling the entire time I was reading it. 🙂 So many things I want to say! You are so right- minimalism promotes mindful spending, so that’s how it goes along with frugality, and it also helps us to not be tied to our things, which is so important. 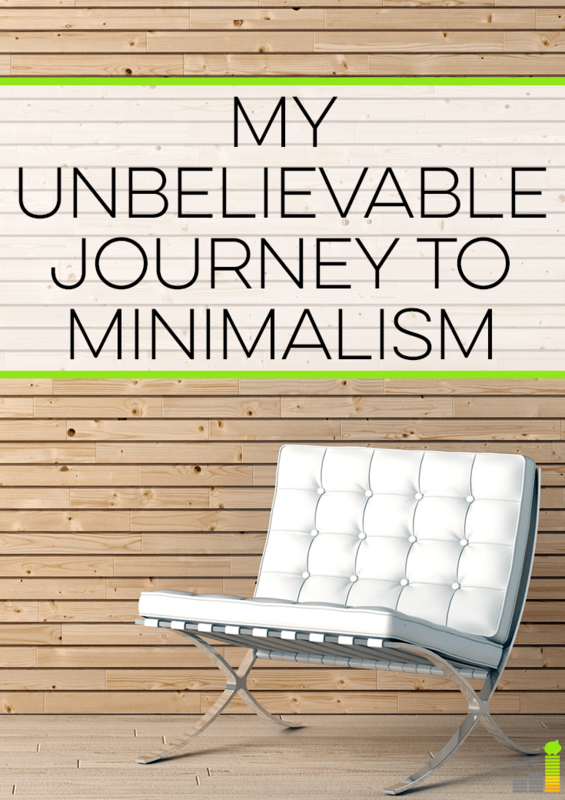 Minimalism is incredibly addictive, so I hope to hear more about your journey in the future! Exactly! I don’t know why I never really put the two together, probably lack of caring, in the past but am thankful to begin to see some progress and freedom from junk. I’m finding that! As we clean out our house for our upcoming move we’ve found ourselves saying this is how we should be living and plan on doing so. I don’t know if minimalism is always associated with frugality. I like to buy less so when I do buy I can afford fewer, more expensive, but higher quality things without going into debt. I love my material possessions but my goal is to enjoy them without being controlled by them. That’s certainly a fair point Sierra. We’re in that place as well. Buying far less, but when we do buy it’s quality (and usually more expensive) so we can have something to enjoy without having a bunch of stuff that really amounts to nothing.